Grant Overview: The CTE department is providing grants of up to $1000 in Perkins Reserve funds for each Health Science instructor enrolling in “Teaching Health Science: Introduction to Teaching Health Science” Online Course through Eastern Washington Area Health Education Center. This Professional Development opportunity is to expand the instructor’s knowledge of Health Science careers and to help introduce the foundation standards of the health science field to students. The course is offered across a two-week period for a total of ten clock hours, April 8 through April 19, 2019. Clock hours will be provided by WA-ACTE. ​Register for the course online at www.ewu.edu/introtohealthcareers. Verification of completion of the “Introduction to Teaching Health Science Online Course” offered through Eastern Washington Area Health Education Center. Agree to present best practices for teaching an Introduction to Health Science course and/or for Work-base learning and/or Service projects at WA-ACTE Summer Professional Development conference. Area Health Education Center (AHEC) for Western Washington is located at Whatcom Community College in Bellingham, Washington. This new Center was launched in 2017. 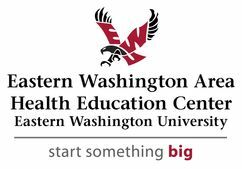 The Area Health Education Center (AHEC) at Eastern Washington University, like its sister AHEC organizations around the country, focuses on health professions education and training, recruitment, and retention, especially for rural and underserved communities. The AHEC also provides technical assistance to communities and serves as a grant partner for a number of initiatives. It is recognized as a leader nationwide for its innovative and successful programs. The AHEC is an integral part of the health science programs at Eastern Washington University, which include professional and graduate studies in Health Policy and Administration, Pharmacy, Human Nutrition, and Speech and Hearing Sciences, and Aging.